One of my personal goals for the rest of the year is to read a book a month. I've already (technically) finished one for September, but I'll probably read another before the month is over. I also decided to share what I read to help come out of my shell. These 'reviews' will be once a month, maybe more since I speed through most books. Here's the first one. Enjoy! Quick Review: "Wake up, genius." So begins King's instantly riveting story about a vengeful reader. The genius is John Rothstein, an iconic author who created a famous character, Jimmy Gold, but who hasn't published a book for decades. Morris Bellamy is livid, not just because Rothstein has stopped providing books, but because the nonconformist Jimmy Gold has sold out for a career in advertising. Morris kills Rothstein and empties his safe of cash, yes, but the real treasure is a trove of notebooks containing at least one more Gold novel. Morris hides the money and notebooks, and then he is locked away for another crime. Decades later, a boy named Pete Saubers finds the treasure, and now it is Pete and his family that Bill Hodges, Holly Gibney, and Jerome Robinson must rescue from the ever-more deranged and vengeful Morris when he's released from prison after thirty-five years. 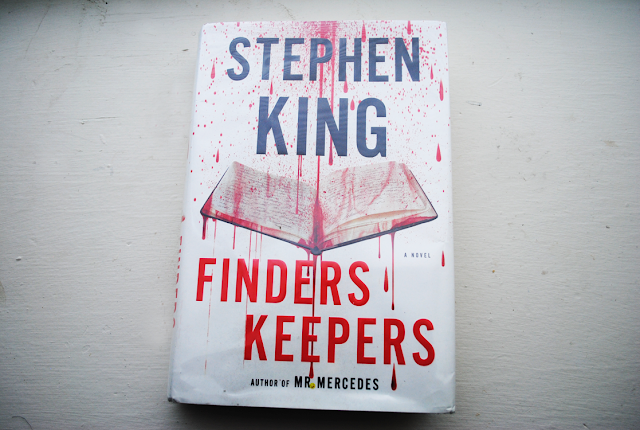 What I liked about the book: I love a good crime thriller and Stephen King so this book was a no-brainer when I saw it in the library. I liked how the main characters were avid reader and I could easily relate to them. There are several twists and turns and I was pleasantly surprised with how the story progressed at times. What I disliked about the book: When I read crime books, I don't like finding out 'who dunnit' until the end. It helps me summarize the book in my head and pick up on all the small clues throughout the book. This book gives away too much too soon for me. There were very little surprises as to who made it through to the end and how the book ended. 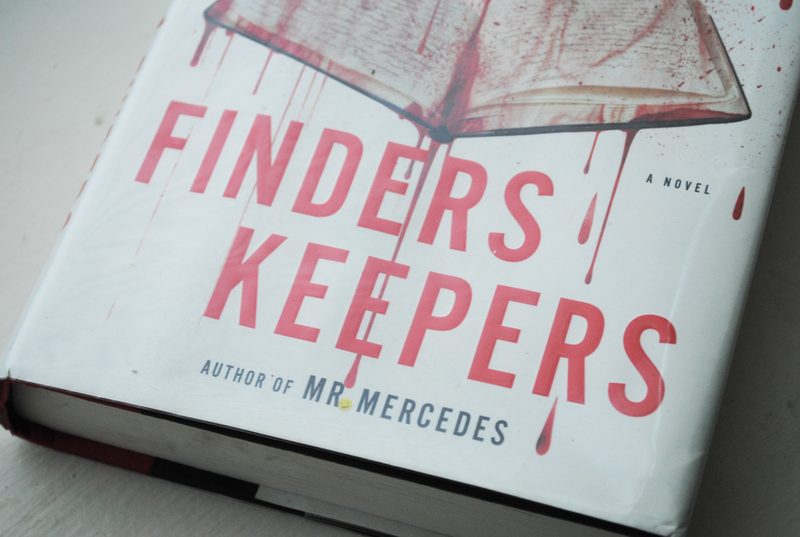 On another note, this book is part of storyline that started in the book Mr. Mercedes. There were quite a few times where events in the previous book were mentioned and it made me feel like I missed out on something. 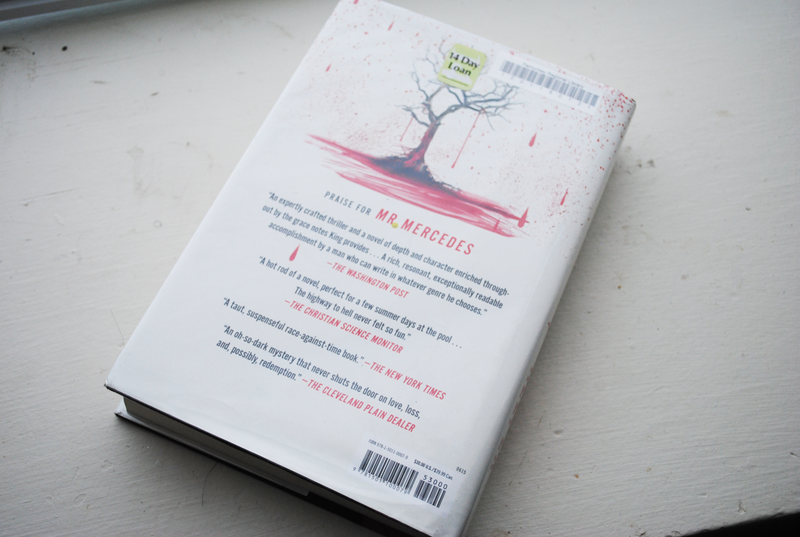 I can assure you that reading Mr. Mercedes is not necessary to read this book. Most of the events mentioned don't seem important enough for recognition, in my opinion. 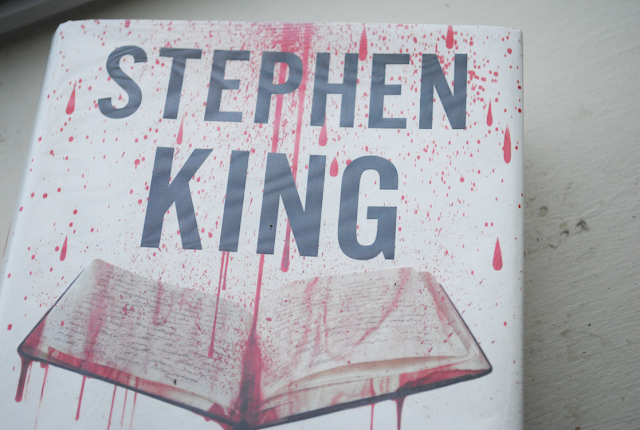 My rating: 3/5 - Stephen King is an amazing writer, but this book is NOT one of his best. There are a few twists, but Morris Bellamy becomes a very predictable character after his killing of Rothstein. Pete Saubers and his family are just distractions while Bellamy sits in jail and continues to fantasize about the notebooks. Once he's released it's obvious what's going to happen next. The ending is neatly wrapped and even leaves room for another books featuring sleuths Bill Hodges, Holly Gibney, and Jerome Robinson. King also tries to tie in a 'supernatural' feel at the end that I could have done without. What did you guys think of this book review? Have you read this book or any of Stephen King's work? Leave your notes in the comments below!